Step inside one of Hip Image’s most unique photo booths. Choose from the lovingly restored VW bus, Boler or Open Air booth. 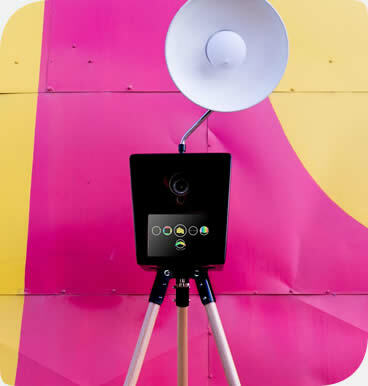 In each, you’ll find the latest high-tech, social digital photo booth gear. 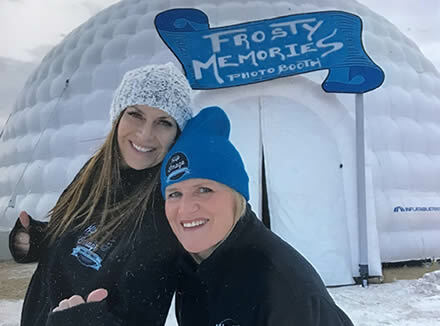 Each unique booth delivers memories and keepsake photos of good times with friends and family. We’ve combined our love for the vintage, fresh ideas for events and a passion for photography to bring you Hip Image—Calgary’s most memorable photo booth experience. Our photo booth units may look vintage, but they are all totally modern. Prints snapped on a DSLR are developed within seconds for your enjoyment. Share the good times with your friends via social media on-the-spot with our social media kiosk. If a picture is worth a thousand words, consider how much more it’s worth with your logo printed on, shared and hashtagged. Getting noticed in the social media space requires superb creativity. That’s where we come in. 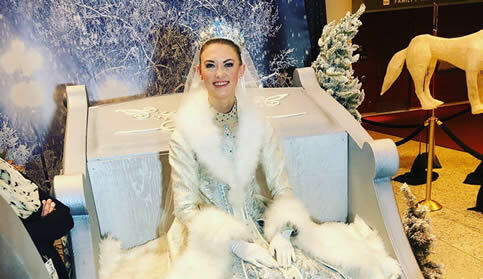 With creative, personalized events made visual, you’re bound to get people talking on the social grapevine with our images. 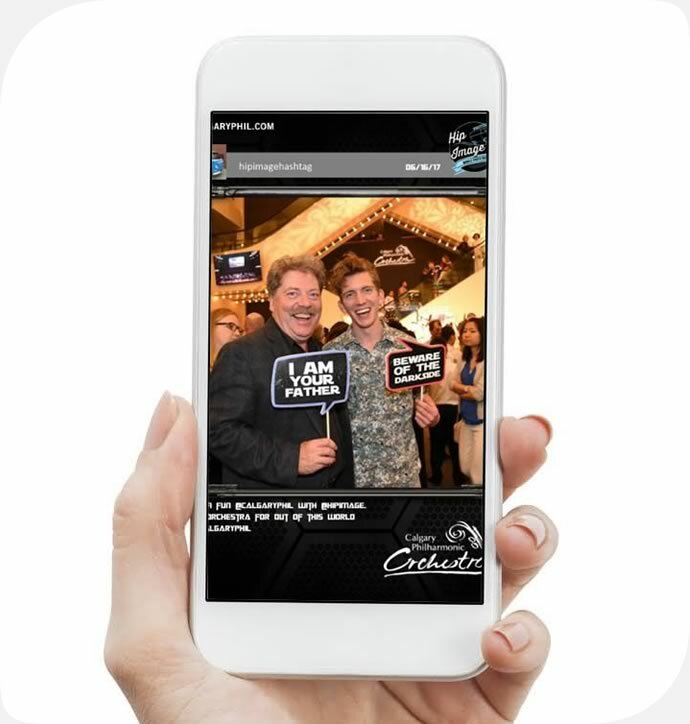 All of our booths are social media enabled, allowing users to upload photos to their social media accounts, text message or email direct from our units—live at your event. PLUS they walk away with a branded photo that is likely to stay on their fridge or in their office for years to come. Check out all of the exciting options you. We offer you all the same great things you’ve come to love about the Hip Image experience including the social sharing station, branded photos or GIFs, beautiful prints and custom themes and props. You can view and download the list of e-mails and names of guests who shared onsite and offsite, send follow up emails, view data on our reports. Check out our new Hashtag Printer to crank up the volume for your event hashtag via Instagram. The face that launched the Hip Image brand—meet Buttercup. 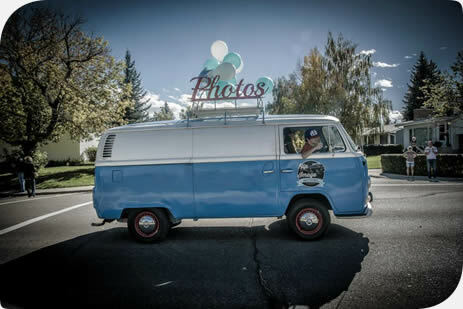 She’s our lovingly restored, charming little 1972 VW bus equipped with the latest high-tech, social digital photo booth gear that delivers memories and keepsake photos of good times with friends and family. Warm and approachable, Buttercup makes new friends wherever she ventures. For a good time, call Buttercup! Once again, we turned yet another icon of the Canadian 1970s it into an ultimate photo booth. Take your photos at one end—then view, prints and share! Our all-weather (ok, “most” weather) Boler is great for getting noticed at outdoor events or big indoor spaces (where we can drive in). We’ll have all the same great things you have come to expect with Buttercup. While the Boler is fully retro outside, it’s a totally modern photo booth inside. Prints snapped on a DSLR are developed into a high quality print within seconds for your enjoyment. We have once again combined our love for the vintage with yet another fresh idea to make your event POP. 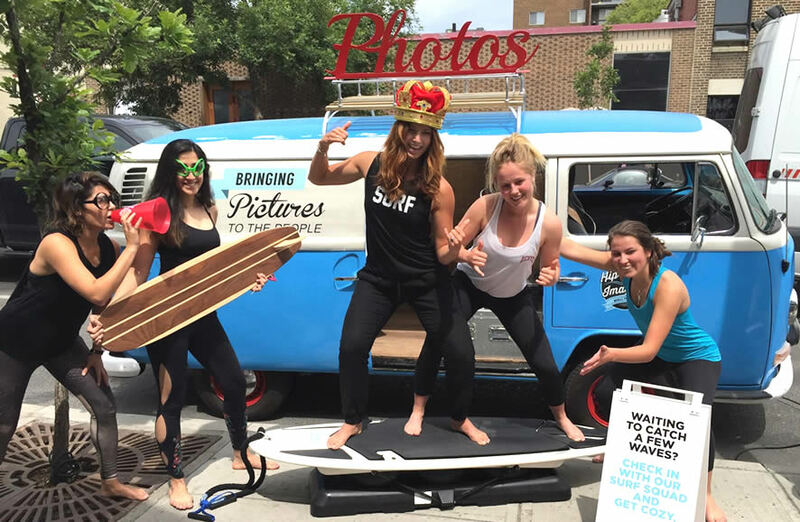 You know us as Hip Image—Calgary’s most memorable photo booth experience. We’re thrilled to announce the latest addition to the Hip Image fleet of photo booths–a vintage styled open air photo booth for indoor or outdoor events (depending on the weather!). Just another photo booth? Not quite! Check out our brand “new” vintage pop-up photo booth that cleverly hides our studio grade equipment in an exquisitely styled set. Whether that look is vintage, eclectic or camp, we’ve got you covered. We’re thrilled to be the first ones to bring this special booth to Canada. With this booth, we can make awesomess happen with custom, branded installs. Have a vision of what you’d like to see—but think it might be impossible? We love building sets and styling your display to make some serious craziness. Let’s brainstorm! It’s a super easy, organic way to promote a hashtag, get more likes, find potential new followers who are interacting with your brand and increase your company’s social reach whether that be tied in with a marketing campaign, product launch, grand opening, fundraiser or more. The hashtag printer brings an extra experience to all events, it can be fully branded from the interface through to the print, user-friendly and customizable. So now guests can brag about all the fun they’re having online and in-person. Use the power of photos to connect with your customers and drive your brand performance. We create fully branded photo activations that are distinctive and engaging for your target audience. Not just another photo booth – we’ll take you to the next level with our superbly creative activations with advanced branding opportunities including backdrops, prints, audio options and touchscreen customizations. Our platform of creative tools and professional services allows us to create highly shareable content for brands, agencies and event planner. Here’s where the fun really gets going. Through short video bursts, we’ll play them forwards, and then backwards, then forwards, you get the picture. This highly shareable content is hard to stop watching! Have even more fun in our Open Air booth with a Green Screen background. Our Green Screen technology can transport your guests anywhere. Want to send your guests back in time, to the moon, Lake Louise or to Studio 54? With our open air photo booth for indoor use, we can customize the finished photo with any background you like when you choose this option. Our new professional photo grade Hashtag Printer that works hand-in-hand with Instagram to provide your guests with a custom branded take-home photo AND drive social traffic to build your brand. It’s been circulating at events for a couple weeks now, and guests are finding it to be a lot of fun. Have something else in mind? Let us know! 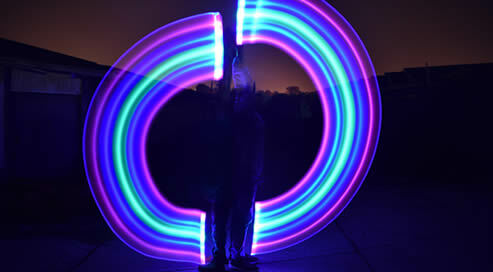 We love working with our clients to stretch the real of possibilities when it comes to event photo activations. 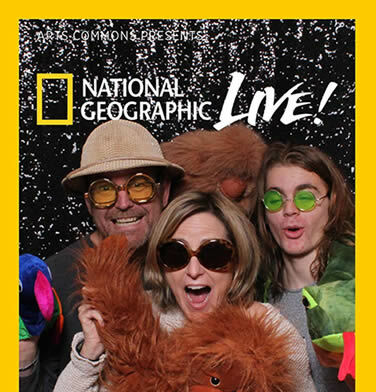 All of our photo booths come with our rockin’ social media station to help increase your brand exposure by creating fun visual content that people want to share on their own social networks. We know that it takes outstanding creativity to get noticed in the social media space. That’s where we come in. With creative, personalized events made visual, you’re bound to get people talking on the social grapevine with our images. 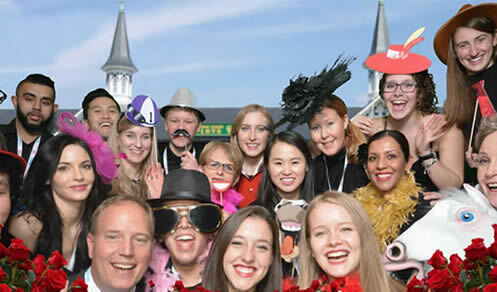 Perfect for any event or party, the green screen photo booth makes images so much more fun to share on social media. This is a perfect way to brand and share visual content for corporate events, trade shows, exhibitions, product launches and company parties as each images is branded with your logo and hashtag. 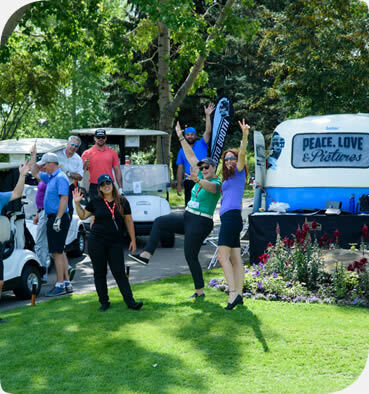 All of our booths are social media enabled, allowing users to email or upload photos to their Facebook or Twitter accounts, text message or email direct from our bus—live at your event. Prompt your guests to sign legal waivers and be CASL compliant before receiving their digital image for sharing. Expecting a lot of guests at your event? Cut the wait time down for their print outs with printer spooling that allows photos to be printed at multiple print stations. Let’s work together and make people smile!